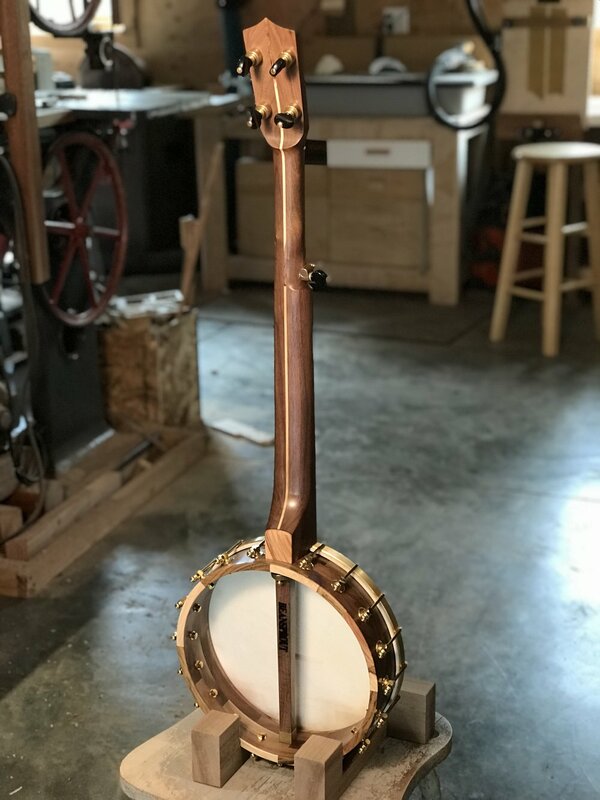 I have really enjoyed exploring these full size five string banjos this spring, its been very rewarding to design from the ground up. Even though my design is not revolutionary, I am pleased with the simple design and beautiful sound. The key is the all wood block rim with no metal tone ring. It is quite a bit louder than I expected but keeps a woody depth. This customer, Jeremy, helped me with some computer design work for machining the rim to match the existing hardware and I am thankful for his help. This walnut came from a retired furniture maker in The Dalles, OR and the pistachio is from California Orchards. 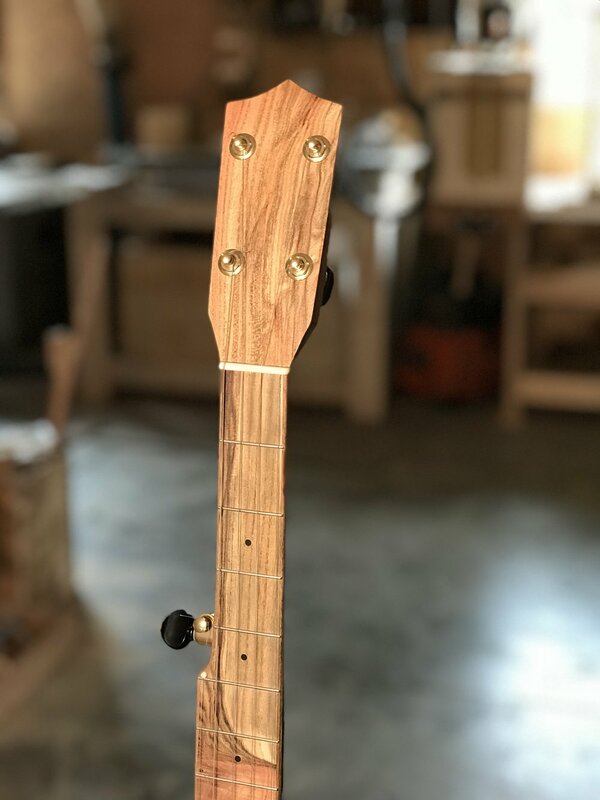 The hardware and goat skin head is from Brooks Masten from Portland, OR.